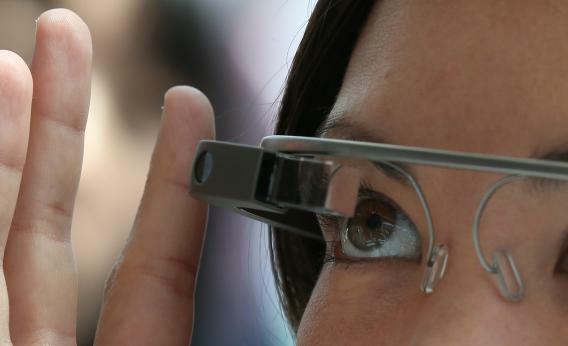 Google Glass facial recognition ban: Privacy concerns prompt crackdown, for now. When we started the [Google Glass] Explorer Program nearly a year ago our goal was simple: we wanted to make people active participants in shaping the future of this technology ahead of a broader consumer launch. We’ve been listening closely to you, and many have expressed both interest and concern around the possibilities of facial recognition in Glass. As Google has said for several years, we won’t add facial recognition features to our products without having strong privacy protections in place. With that in mind, we won’t be approving any facial recognition Glassware at this time. Google had already said it had no immediate plans to offer face-recognition software for Glass. But it left things open-ended enough that people continued to freak out about the possibility. Last month a congressional committee on privacy wrote Google an open letter explicitly asking whether Glass would have “facial recognition capabilities.” The controversy came to a head last week, when the San Francisco startup Lambda Labs announced that it would offer a facial-recognition programming interface for app developers working on Glass. Lambda Labs’ Stephen Balaban said at the time that he didn’t see anything in the Google Glass terms of service that would prohibit using the device to recognize people’s faces in photos or videos. As Charles Arthur points out in the Guardian, these policies won’t necessarily prevent people from hacking Glass to achieve similar ends. And of course in theory you can still use the device to snap a photo and then upload it separately to a third-party face-recognition service—but that’s nothing you can’t already do with a smartphone. Still, Google is the only major player in this new tech realm for the time being, and it’s wise to play it safe in response to people’s privacy fears. The trend for years has been that people’s privacy misgivings erode over time as they get used to new technologies, and that may happen here too. But Google has enough of a lead in this market that it would be foolish to force the issue. I wouldn’t be surprised if Google lets some other company be the first to support face-recognition capabilities on its smart glasses, so it can gauge the reaction before following suit.